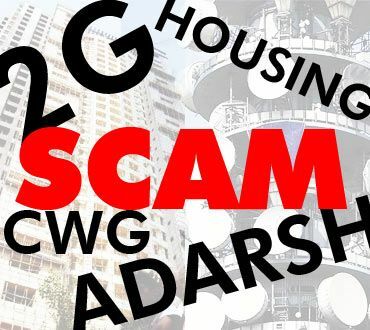 National Democratic Alliance working chairperson Lal Krishna Advani has reaffirmed that Opposition parties have not given up their demand for a joint parliamentary committee probe into the 2G Spectrum, Commonwealth Games and Adarsh society scams. 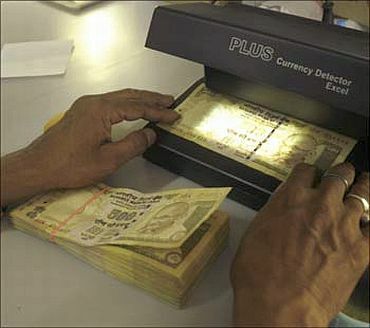 Pledging to set an example in the fight against black money, Bharatiya Janata Party-led NDA on Tuesday said it would direct its chief ministers and senior-most leaders to declare their assets and asked the government to make all efforts to bring Indian slush funds stashed in tax havens. Senior NDA leaders held a press conference on Tuesday to present the report of a task force appointed by BJP to look into the issue of Indian black money stashed abroad and ways of dealing with the issue. "The NDA discussed the contents of the second report of the BJP task force -- 'Indian Black Money Abroad in Secret Banks and Tax Havens'. Drawing on authoritative references, this report has dealt with the issue from multi-dimensional perspectives of global economy, geo-politics and global financial distress. 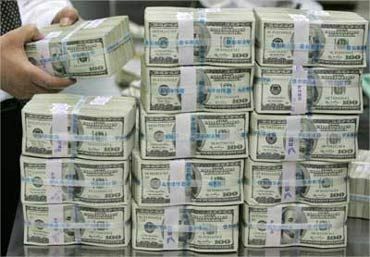 It spells out some national efforts that are needed to stop this outflow and to retrieve the lost wealth. The first report was submitted to the BJP in April 2009. The NDA has broadly endorsed the task force's report," Advani said. "We liked (the report) and the NDA also said it is appropriate that all those holding political office, whether we are members of Parliament, whether we are leaders of political parties recognised by the Election Commission.... or even Central office-bearers of the political parties, or MPs. 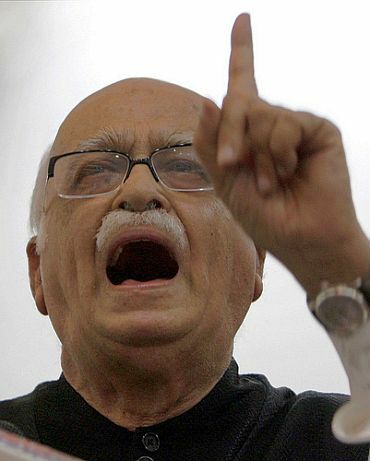 We would like all of them to be obligated to tell the government that we have no money abroad," Advani added. The NDA leaders endorsed the suggestions of the report, which targets corrupt politicians as well. The four member task force comprising S Gurumurthy, former IB director Ajit Doval, Professor R Vadiyanathan and advocate Mahesh Jethmalani has put the figure of money stashed in safe havens to be 25,00,000 crore. "The Supreme Court has characterised the amounts stashed away as 'theft; and 'plunder'. The government tends to treat the issue as a matter only of tax evasion. Simply put, black money and its being stashed abroad are unpatriotic acts and they tantamount to financial terrorism. As early as 2007, MK Narayanan, the then National Security Advisor expressed his concern regarding the possibility of terror funds coming through financial markets," Advani claimed. "There should be a general, not specifically against any persons, FIR against (those keeping black money abroad). It has been done in the case of terrorism in Punjab, in the North East... in Nagaland," he said. The senior leader quoted a recent survey, which claimed that the general perception among people about politicians is that around 60 per cent of them are corrupt. Taking a cue from Advani, Punjab Chief Minister Prakash Singh Badal said, "A big issue has come up in the country... NDA chief ministers should first give in writing and announce their assets and tell the government that it can seize any black money they have." Asked if he agreed with Badal and whether Karnataka Chief Minister B S Yeddyurappa should also declare his assets, Advani replied in the affirmative, saying all BJP and NDA chief ministers should do so. 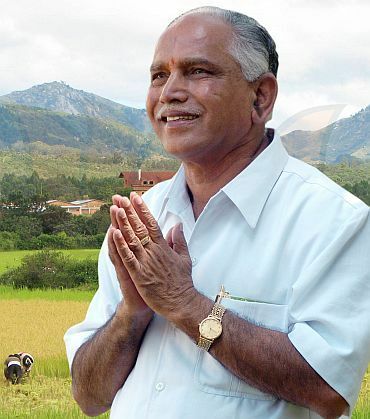 Yeddyurappa is facing allegations of corruption and nepotism in out of turn land allotment to his sons. This had nearly cost him his job but the BJP reportedly allowed him to continue due to impending local bodies elections. Advani, who has been raising this issue since 2008, rued that the Congress-led government had termed this a "political stunt" during the 2009 elections and an "irresponsible statement". He said the NDA had discussed the issue of black money on January 6, 2011 and written a detailed letter to the Prime Minister but 'did not even get an acknowledgement, forget a reply, till now'. Stating that the issues of corruption, food inflation and black money are inter-linked, Advani alleged that the government has "not even moved an inch" to bring back black money stashed abroad. "Let government take at least some steps," he said, adding that though countries like Germany were ready to share details of account-holders, the government was not doing anything. He said action needed to be taken on tax evasion, corruption, bribery and kickbacks. Advani insisted that the government should also ratify the UN Convention against Corruption, which requires only an endorsement from the Union Council of Ministers.